I sat with my microwaved lasagna, my bottle of wine, a pack of cherry tomatoes and a peach. I was in the courtyard of a convent, preparing to catch up on my blogging and journal writing. This would be my “office” for today. Not rivers and mountaintops, woods and cathedral towers. Not lakes and meandering trails, sunsets and blue skies. My view was of nuns and half-naked bicycle riders. That morning had been overcast and chilly. The walk along the other side of the canal that I had followed into Fromista had been just as pretty as it had been the previous day. However, there were more pilgrims walking this morning. I walked with Bouwolf from the Netherlands for several kilometers to the town of Villalcazar de Sirga where we stopped for morning cafe. He kept on but I stopped to see the Iglesia de Santa Maria la Blanca on the advice of Carlos and Andres, two of my friends from Fromista . The outside of the church was not much to look at. In fact, part of it had collapsed years ago in a landslide and had apparently be repaired with just a wall. The church was exquisite and,again, surprising in its golden “over-the-top”-ness. The shadowed altar was the highlight of the church. A sign stated “No Flash.” I don’t use a flash (my camera takes pretty good photos without) but another visitor, in the front of the church, did, There was a subtle click and a split second flash of light. Instantly, the sleeping ticket taker at the entrance of the church woke and let out a loud “NO FLASH!” in English, then went back to sleep! I donated the one euro to light up the altar so the villanous flasher and I could see what we were missing, and the sparkle was worth the euro. 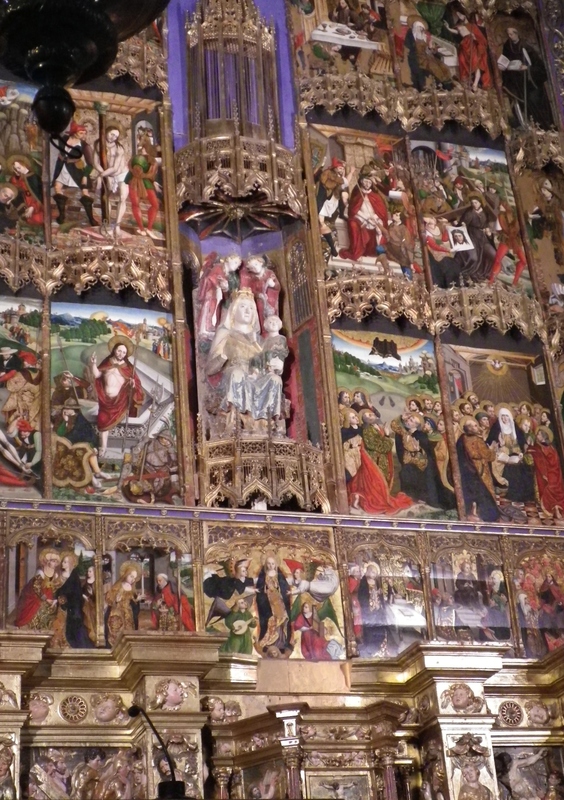 An amazing thirteenth century altar shone in dazzling glory, one of the most brilliant I had seen yet. I eventually continued down the road and reached the town of Carrion de los Condes. Unfortunately, I arrived at the albergue just after the last two spots were taken (by two friends from the Camino, so there were no hard feelings). The hospitalero, however, sent me to another albergue where, he assured me, there would be room. 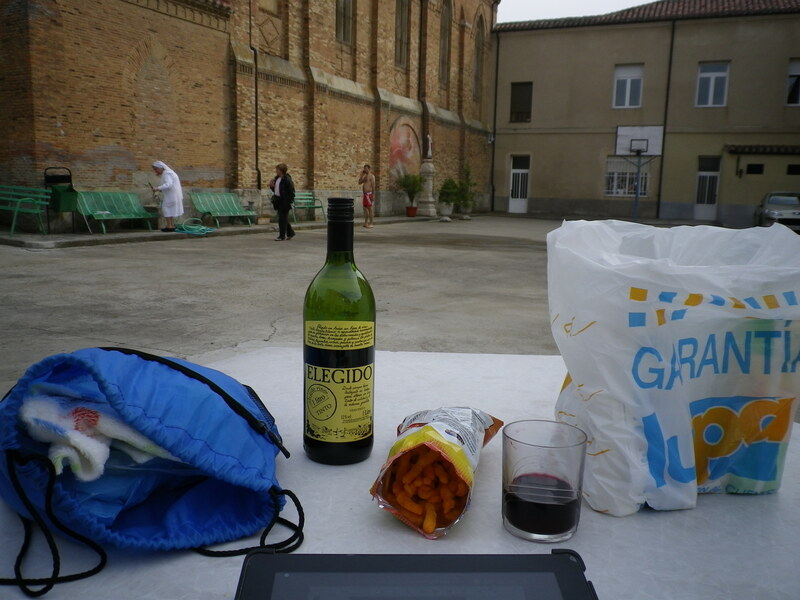 That’s how I ended up in this courtyard/office, with my wine, my journal, and my view. The Espiritu Santo convent is a place of great peace and energy. The nuns expertly and efficiently register tired pilgrims, a system developed over centuries of daily service (although now assisted by cell phones, Apple and Google). 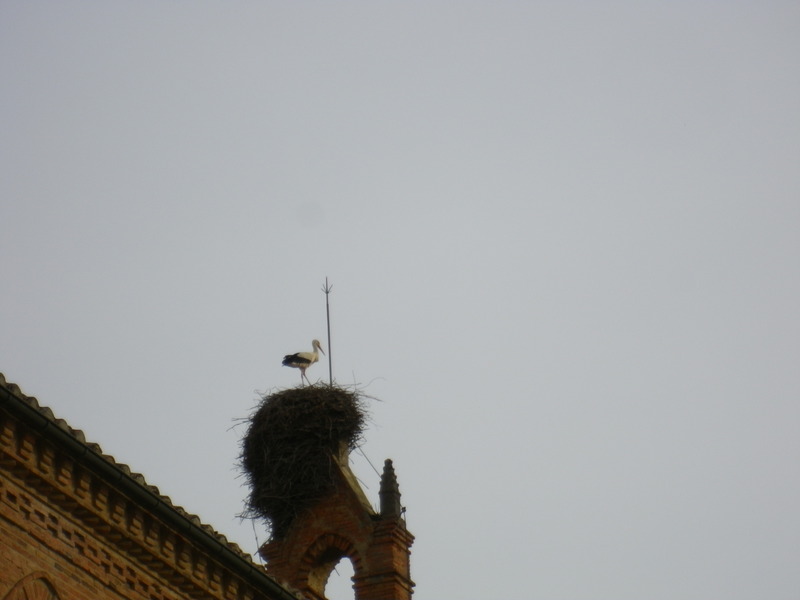 I picked out a bed nearest the window and lay down, finally seeing one of the famous storks nesting on the top of the chapel. In town, I met Michelle from Arizona, and, as we shared stories and cafe, an old local man sat with us. He was quite taken with Michelle and asked her many . . . um . . . interesting questions about her situation. Why was she traveling alone? How could she have children and not be married (divorced, which he didn’t seem to understand)? Did she smoke? I was in on all of this because my Spanish had gotten good enough to be the translator. I laughed at his inquisitiveness and her answers. Michelle was diplomatic – friendly, trying to not offend yet not encourage – and she and I spent the rest of the afternoon giggling. Later, I found a place to buy food AND a place to get my broken glasses repaired (they had fallen apart again two days earlier). That evening, after showering and shampooing, after hand washing and hanging up clothes to dry, I settled in at a table outside and prepared to work. I saw friends from the Camino and chatted but mainly I blogged, trying to get photos and stories synced and out to cyberspace. The sun had come out at the end of the day and the wind had died down. 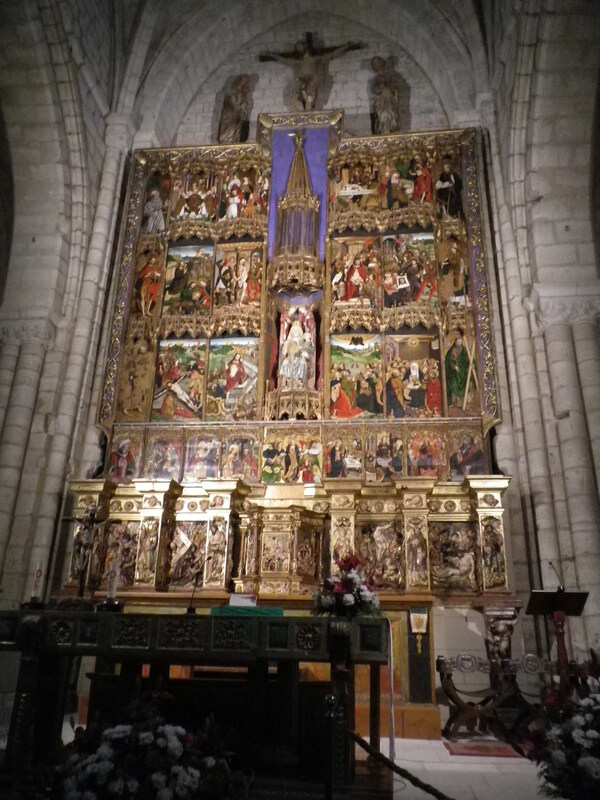 A Pilgrim Mass would be starting soon and I hadn’t missed a one since the start of my Camino. I looked up and saw a nun, dressed in pure white, manipulating the water hose in order to drench the flowers which had missed some of the earlier rain. Her habit was clean and was a sharp contrast from the clothes pilgrims were wearing, including myself. Behind her was one of the bicyclers, just finished washing his bike for the day, now chatting on a cell phone. Casually dressed for getting wet, he simply wore basketball shorts. As I looked up from my blogging, and sipped some wine, I thought of what a juxtaposition I saw from my “office” window. The nun and the bare-chested cycler, each unobtrusively working in their own world, connected to each other by the Camino, and neither getting in the other’s way. Neither seeming the least bit out-of-place. 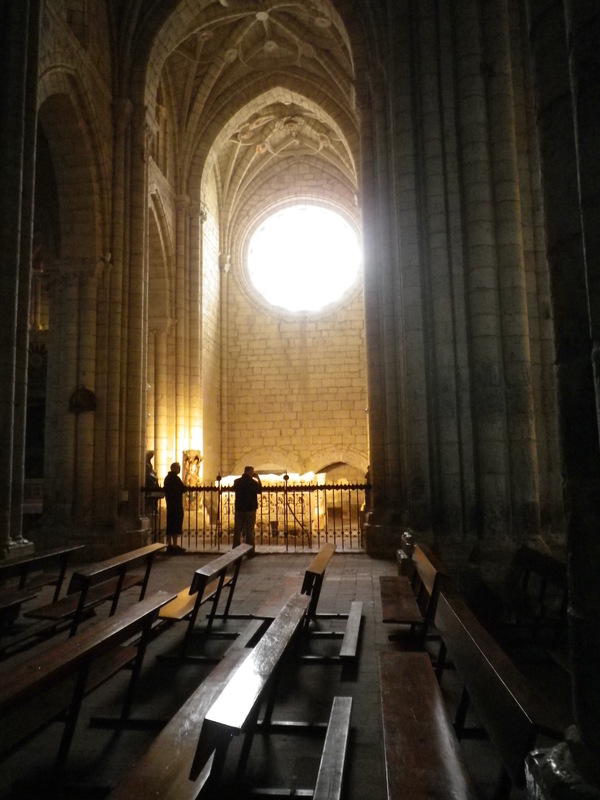 This entry was posted in camino de santiago de campostella, Religion, Spain, Travel and tagged backpack, Camino de Santiago de Campostella, Catholic Church, Spain, Travel, women hikers, writing. Bookmark the permalink. Every step with you on the Camino is a joy, friend. You, me,. the Saints – we would be a winning combination! Love this story of nuns and cyclists. With only 5 weeks til I start walking, I can not wait for my own experiences. Thanks for sharing Kathy! You’re going to have a great adventure. Just remember that my blog is not Trip Advior. Don’t expect the same experiences as me (although “No Defecar” will always be there, I hope). 🙂 I’m very happy and excited for you. Kathy, I enjoyed traveling with you via your vividly written Blog. I envy you and so do all my friends and neighbors whom I shared your Blog with. Thank you. Hi, Ida! I’m glad you and your friends are enjoying my small attempt at sharing my adventure. Especially, thanks for sharing – I’m very flattered! And you should see the stuff I’m leaving out!! YIKES!! If we could all be tolerant of the different ways in which we worship and explore the Unknowable – what peace there could be in the world! Allyson, you are so right! We all want the same things in the end – peace, security, a somewhat predictable future, perhaps. 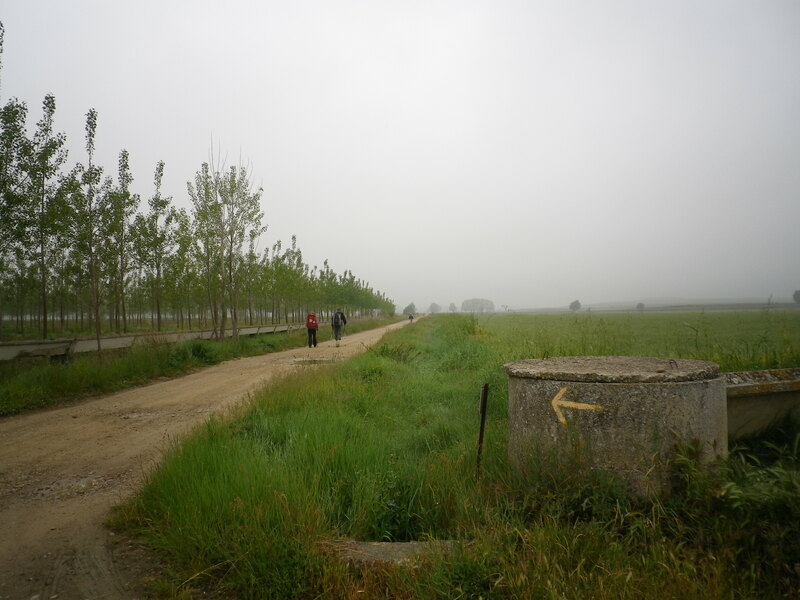 For me, the Camino had a way of emphasizing all we have in common and the insignificance of our differences.